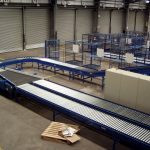 All conveyor side sections are 230mm deep for greater durability and are manufactured from 3.0mm mild steel and are finished to RAL colour of our customers choice. 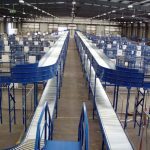 All lineshaft powered roller conveyors are fitted with 50mm rollers with precision bearings for longer life. 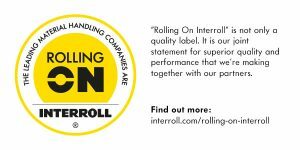 Our standard roller pitch is 75mm, closer pitch rollers are available dependant on the customers application . All drives are fitted with timing belts and pulleys as opposed to sprockets for greater efficiency, less noise and less maintenance. 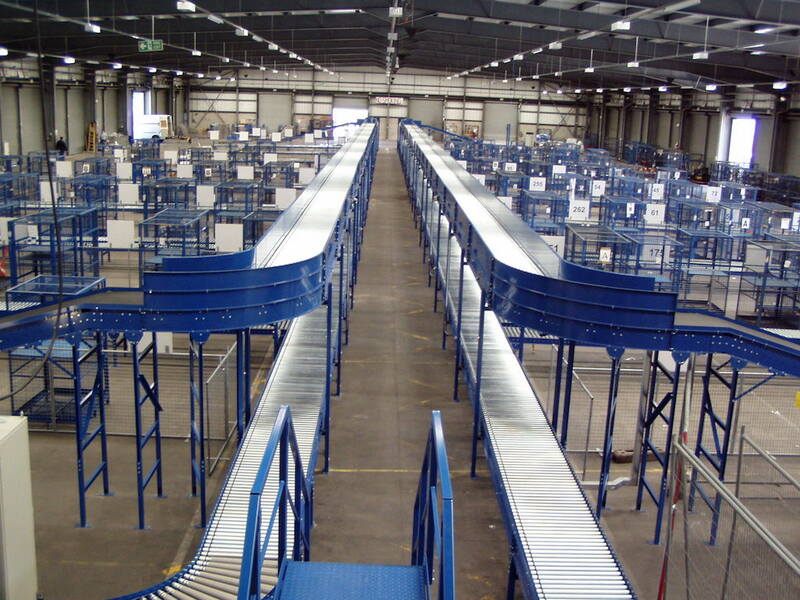 All lineshaft roller conveyors are supplied fitted with low profile drives to maintain a compact design and prevent motors from protruding from the side of the conveyor unnecessarily taking up useful space. 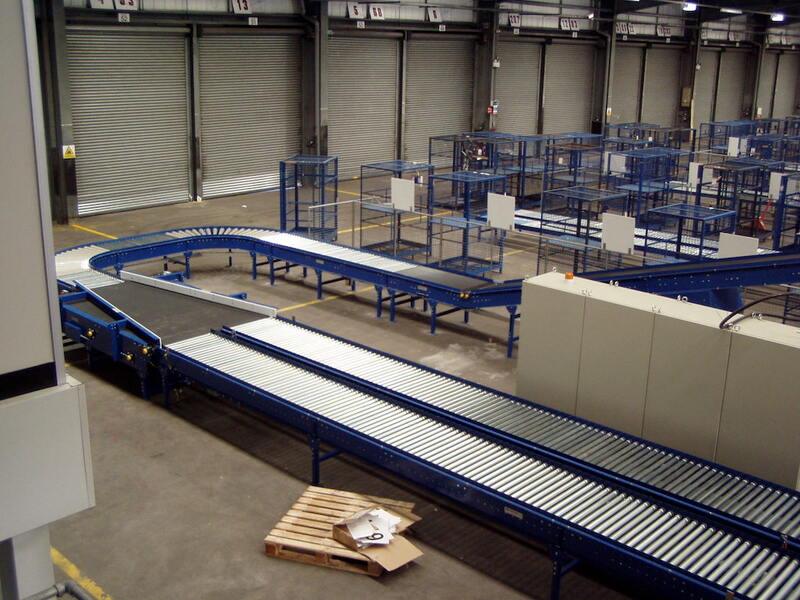 Our lineshaft powered roller conveyor is also available with Zero Pressure Non Contact Accumulation zones GMH proven electronically controlled Zero Pressure Non Contact Accumulation conveyor allows products to accumulate without make contact with one another. Electronic sensors eliminate product weight restrictions and noise associated with mechanical sensors.